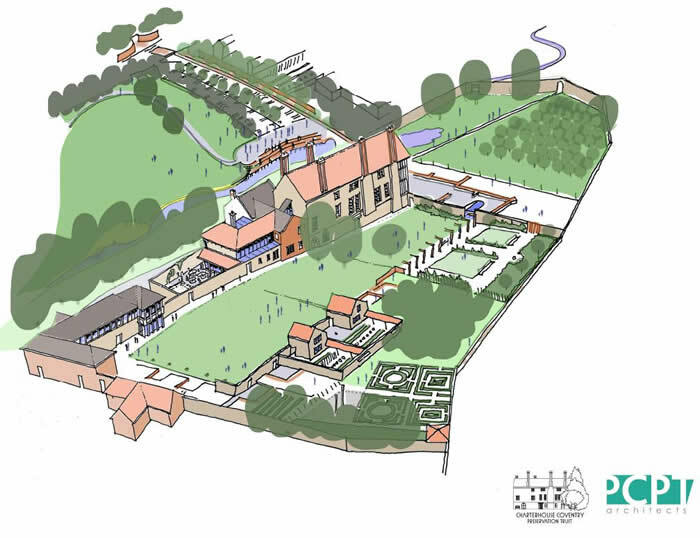 An initial £400,000 has been awarded to the Charterhouse Coventry Preservation Trust to work up the detailed plans to pave the way for an HLF grant of £4.7 million for Phase 1 of the Heritage Park . PCPT have assisted the Trust in the designs and preparation for this submission which was decided at the national HLF Board and that recognised the huge significance of this ‘hidden’ asset in the city. This HLF award carries forward a long unbroken success story for PCPT in submissions to HLF that have generated £15m of funding in the last 4 years.